Home » Financial Tips » Moving abroad » Moving home » Should You Move Abroad to Save Money? Should You Move Abroad to Save Money? When to decide to transition abroad, you’re in for two options. The first and most common one is to move to a country which resembles your own in terms of development and culture. The second option is, of course, moving to a cheaper country with all its perks and downsides. While the latter seems like a radical choice to many, there are quite some expats who chose to settle down in a cheaper and less developed country - and they haven’t looked back since. Here is a handful of advice and insights from those who made the move before you, making it a bit easier to finally make a decision. First things first; living in a cheaper country than you’re used to means that paying rent and doing your weekly grocery shopping will be a lot nicer on your wallet. Those who object to moving abroad in order to save money on accommodation tend to forget that, while rentals in rural towns may cost very little, it’s extremely tough to come by an affordable apartment in the middle of the city. It’s the kind of thing you’ll be able to afford when you live in a cheaper part of the world - and remember that the country you’re moving to will benefit greatly from having you there as well. Another point to this is that even if you move from an undesirable rural town to a more desirable city in a less developed country, you’ll still be able to save a lot on accommodation. You won’t save as much as someone who moved from an attractive city, but still - the point stands. With everything you spend in a developing country, from healthcare, groceries, bills, and the takeaway you treat yourself with once in a while, you’ll be able to save about half of what you’d normally spend. Even keeping in touch with your friends and family at home becomes less expensive than meeting up for lunch once a month, as you can make use of Planet Numbers to call anywhere for next to nothing - no stable internet connection required. The people who question other’s decisions on moving abroad tend to either feel stuck in their own rut - or they’ve forgotten that you can actually circle the globe for a full year and still spend less than you would have, living in your current city. It’s why so many digital nomads have quit their regular nine to five job already and found ways to make money while living abroad instead. You don’t have to settle and live in the country you were born in just because it seems to be the norm - have a read around the web, and you’ll soon realise that it’s far from it. Countries that are still on the rise would love to welcome you and your family as the knowledge and resources you bring with will help them to prosper. 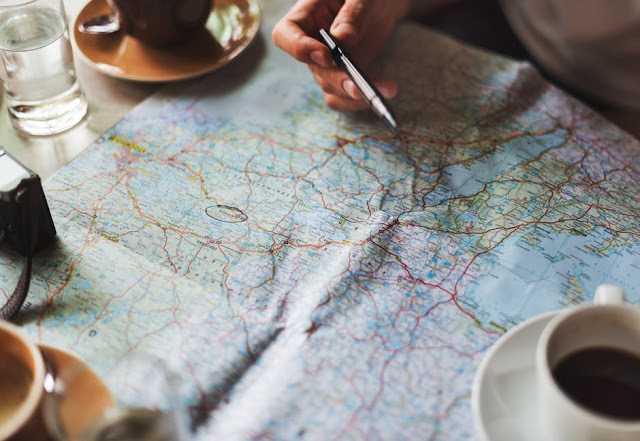 It might not be the reason you’ve decided to move, but it’s good to keep in mind in any way, while you’re enjoying the freedom and adventure of living abroad.